Limerick corner back Seamus Hickey received the man of the match award from The Sunday Game panel after his side's two point loss to Kilkenny in the All-Ireland semi-final at Croke Park on Sunday. Hickey's emotional state was clear for all to see. Limerick had left everything on the pitch but still came up short. There was slight mitigating factor that they really had turned up this year unlike 2013 against Clare at the same point in the Championship. 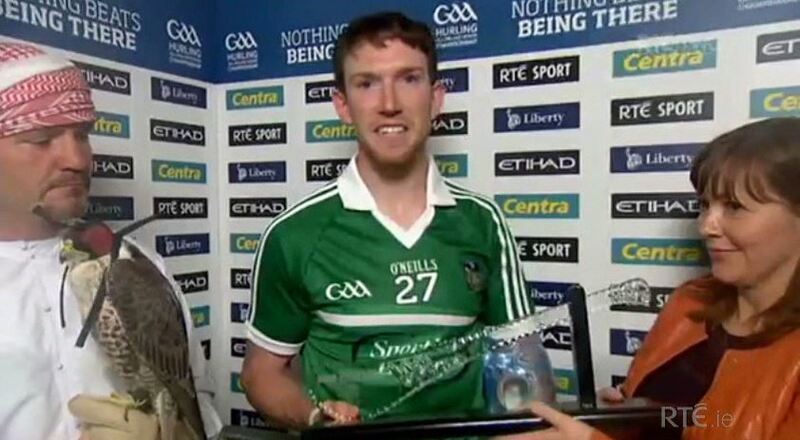 Also, we had what every previous GAA man of the match presentation had been missing - a falcon.